Group photo of a large group of men and women, who are gathered for a meeting of Christian Endeavor, an evangelical, nondenominational group which sought to promote a Christian life among its members. 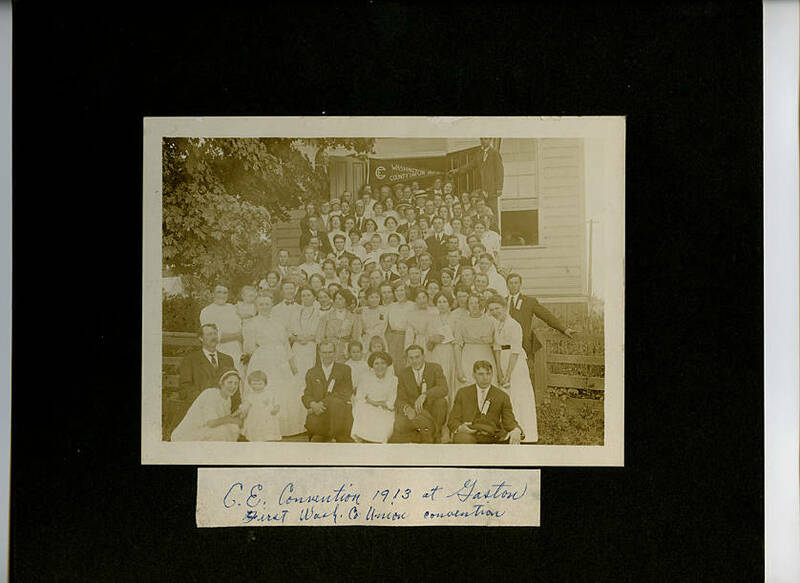 A pennant being held up at the back of the photo shows the Christian Endeavor symbol and reads 'Washington County Union 1912-13.' This convention was held in Gaston, Oregon.